$335. 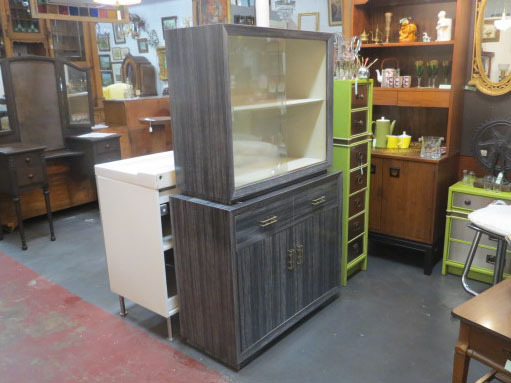 Vintage mid-century modern gray laminate hutch/china cabinet, c. 1960. 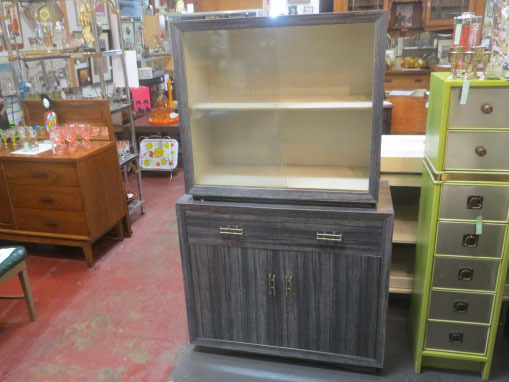 Cool gray laminate faux wood cabinet. 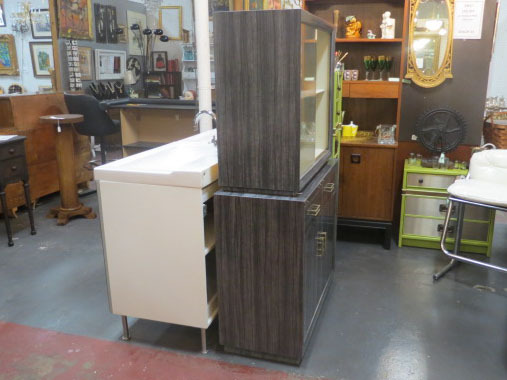 Top has 2 glass sliding doors and 1 shelf with a cream interior. Bottom has 2 drawers and 2 doors with a shelf inside. Original metal pulls. Bottom interior is gray. A unique piece. Perfect for your dining room or living room. 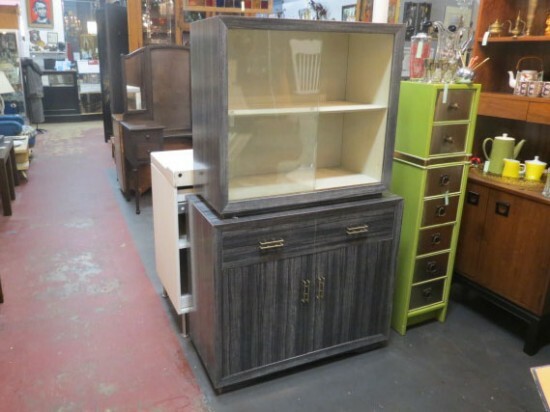 Use as a display cabinet or china cabinet. Very good condition. 36in wide, 16in deep, 61in tall.